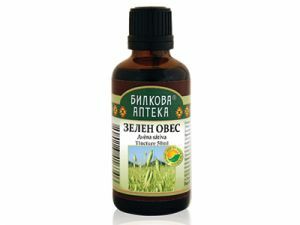 Application: In diabetes and other disturbances in metabolism, for boosting baths in rickets, eczema, inflammation of the skin, gums, stomach, intestines, leucorrhoea in women, irregular menstruation, hemorrhoids, bleeding. Effect: Anti-inflammatory, astringent, toning the nervous and digestive systems. Reduces blood pressure and blood sugar levels. Directions: Brew 1 tablespoon of the leaves with 250 ml. of boiling water for 10 minutes. Strain and drink in one day. For lowering blood sugar drink half dosage in 1 day. * For external use: Potion of 5 tablespoons leaves boiled for 15 min in 500 ml of water. Decoction is used for lavements and compresses.